In a blender, add the blackberries, sugar and water. Blend on medium until pureed. Strain the blackberry mixture thru a mesh sieve. In a glass, add the mint leaves, juice from the lime, and a splash of the soda water. Top the glass with ice. Add the rum, blackberry juice. 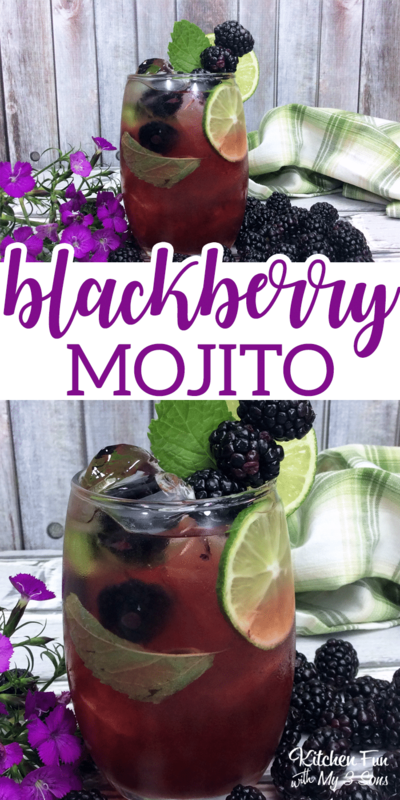 Garnish with lime wedge, mint sprig and blackberries.